A Meaningful Past in the Present? Recently, I started researching gender representation in presentations of Vikings in modern movies. This has lead me to watch quite a few films of varying quality about the Viking Age (in Norway ca 800-1000), which I have both enjoyed (e.g. Ragnarokk (2013) – a Norwegian production about an archaeologist on expedition to find Viking treasure) and ridiculed (The Northmen (2014) – a German/European production about the bloody Viking raids starring 20 muscular male superheroes and 1 excessively pretty woman). However, I realise now had not yet been offended. After all, we are talking about my past here. As the only Scandinavian in the project, I guess I was the only one with the potential of having deeply personal feelings linked to each and every movie, although there are some quite “eh” presentations of the British as well. Nevertheless, my British colleague and I never seriously discussed this issue. Enter VIKINGS. A recent series produced by the History Channel (more info: http://www.imdb.com/title/tt2306299/?ref_=nv_sr_1). As that network had been involved, it could possibly be expected to have enlisted a number of consultants for its production. In either case, we had heard it was horrifying with regards to gender, and none of our collaboration of 4 adult social science researchers wanted to take it on. We agreed to watch the first two episodes together in solidarity. Since we were looking at gender specifically, we had a set of questions that we wanted to answer. It was hard to provide any in-depth answer, and sometimes even a simple yes/no could not be found, as it was expected to develop throughout the series. Since I had gotten the series out of the library, I took it home and continued watching it. The gender representation will be presented elsewhere (and come hear our talk on Sat 5th of September at the EAA in Glasgow! ), I will only state here that after nearly two seasons there are 3 significant female roles, 4 if you count a girlfriend role that never acts without her boyfriend in the scene. In comparison, the number of significant male roles are 10. All in all that makes for 23,1 % significant women compared to men. We also see an astounding number of men in comparison to women in total. Biologically, there is about 50/50 in any population, to secure the survival of the species. I am sure the Viking women were as crucial to the society structure then as women have been since. Nevermind the gender issue, VIKINGS was not bad considering other recent productions. It includes quite a significant number of archaeological findings (for instance the temple at Uppsala, the animal sacrifices, and the potential for human sacrifices sprung off the earlier Nerthus-cult, and features of the settlement both inside and out), however much spectacularised. This was of course to be expected, but nonetheless I was not a sworn hater yet. I did find the use of violence excessive, but I could handle it. After all, this was a feature of most Viking films, especially non-Scandinavian productions. Also, taking an analytical viewpoint kept me from getting too engrossed, and I was actually looking at the battle scenes with an eye for social or archaeological detail. But then came the turning point. A lot of the series relies heavily on Ibn Fadlan’s Risala chronicles from his journey c. 921. He describes a people he calls Rusiyyah in such detail that most scholars agree that he talks about Scandinavian settlers along the Volga (see Montgomery 2000 for a translation of the account). There is reference to a human sacrifice that may or may not be something called the “blood eagle” in other sources of literature. At this point, it is important to state just how unreliable these texts are considered in Norwegian archaeological education. None is without deep issues of source criticism, for instance fantastic descriptions and what that really meant at the time (Phelpstead 2012) or the fact that none of the texts originate from the cultures in question. Instead either insulted and angry British authors, later christian monks, or outside viewers from far away penned the few written references we do have (Montgomery 2000: 23 and note 4). Needless to say, Scandinavian archaeologists and general public do not associate the Vikings with this horrible maybe-procedure, rather we are presented a view of the Vikings as mariners, farmers, craftspeople and warriors, yes, but never pirates. We get introduced to their daily life in school, we visit museums and look at their beautiful crafts, like the astonishing ships, we have to go through grueling language history including Norse grammar, and we laugh at/with them in one of our favourite cartoons, Hägar the Horrible (Norwegian: Hårek den Hardbalne; literally Hårek the hard-balled). They are a deep and foundational part of our history. 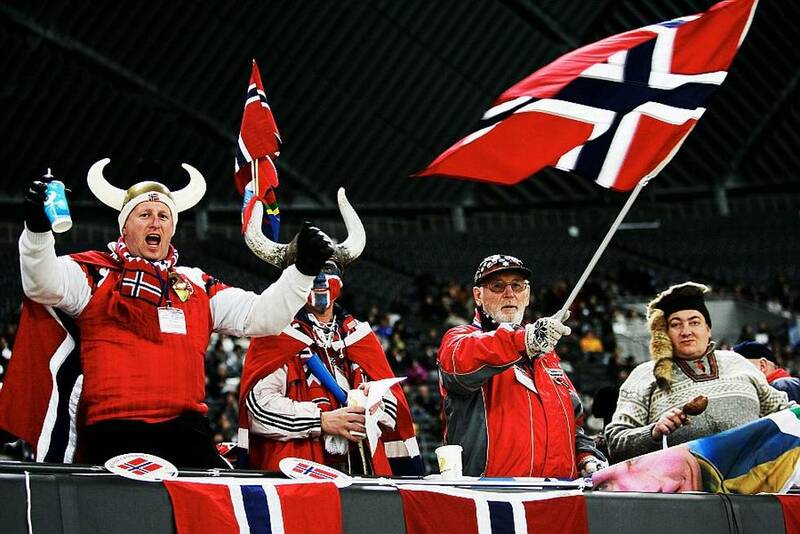 In Norway the Vikings are considered to have started the final collation of the nation, and it is probably not overstating it to say that we are proud of them. Even more so, Scandinavian archaeologists are seen as one of the main factors in the generation of knowledge about the Viking Age. To a certain extent, I think most of us know quite a lot about them, both through our interest in old things, but also through our general schooling in archaeology. Certainly, a Scandinavian field archaeologist will gain quite an extensive knowledge, as we dig a significant number of Viking Age sites. I, personally, did my BA specialisation in Iron Age and the Middle Ages, worked as a guide at a Viking village site, and have parttaken in quite a number of Viking Age digs. I was apprehensive to say the least, how I would react to the archaeological side of the movie-project. I already knew from having moved to the UK that “Vikings” and “Vikings” are two different things. My usual argument “the Vikings were farmers” never hit home, and even my archaeologist friends did not fully understand what I meant. Especially in the UK, the raiding Vikings are a big deal, and are described in negative terms, not as explorers (now, pause and think about their later description of themselves in the colonisation process of Asia and Africa…). This experience was a shock to me. After all, I am not one of those archaeologists who wanted to become an archaeologist since childhood (and I would estimate at least half of us wanted to). Given, I always had a special interest in the past, and that I in fact know a lot about Vikings, both from nationality and education, but I have never felt strongly about my own cultural history before. Even on excavation I always felt very distant from the people we were investigating, sitting on top of their remains. But it struck me so strongly with VIKINGS – they had taken something that was mine and made it theirs, and I was completely opposed to it. I discussed my emotions with a friend in the project, and she said it was a good thing. We both agreed it was useful to have those feelings now: Coincidentally, I am also writing a proposal for a research project that plans an excavation from the time around 1880. This is a time where local people alive might still remember people that lived then, and I cannot imagine what their feelings must be like. Or – I can image, and their feelings must be so much stronger than mine were. It is the responsibility of people telling stories about the past to be mindful of feelings, and I think we, as archaeologists, often approach it in such a disinterested way that it can in fact be disrespectful to the people that encircle our research. I will state here that I think it is our ethical duty to be aware. After all, it is often not our own past, and we are dealing with the identity of others (and for an interesting read on engaging with non-archaeological producers of the past, have a look at Thomas 2015). It is important that we understand that the significance of heritage differs vastly in professional environments and amongst the people that it concerns (and of course people whom it does not really concern, too). The Vikings have morphed from my inheritance into the heritage of the world, to do with as they please. The Vikings are no longer considered actual, Scandinavian human beings, but have been re-inherited* to form mythical berserks, excessively violent warriors, raiding, pillaging, hurting others, with abhorring rituals, a cosmology like a fairytale and an extraterrestrial beauty and power. They are no longer mine, yet I mourn them like I never thought I would. 2000. Ibn Fadlan and the Rusiyyah. Journal of Arabic and Islamic Studies 31–25. 2012. Fantasy and history. The limits of plausibility in Oddr Snorrason’s Óláfs saga Tryggvasonar. SAGA-BOOK XXXVI27–42. 2015. Collaborate, Condemn, or Ignore? Responding to Non-Archaeological Approaches to Archaeological Heritage. European Journal of Archaeology Eur. J. Archaeol. 18(2): 312–335. What Archaeology can do: Point fingers! So after the earlier (lengthy) posting about the history of archaeology, readers may have caught up with some of the problems that riddles archaeological reasoning and research. However, there are lots of highlights, and sometimes we actually do get to do something really valuable that has interest even outside of the field of archaeology. Cue gender archaeology. In the early 1970’s, bouncing off the political revolution of women, Norwegian archaeologists especially started to investigate gender roles systematically, both looking for them in prehistory and in their own profession (Sørensen 2000:17-18). Before this, archaeology was largely androcentric [centered around men] in outlook, referring to prehistoric “man” and focussing on warriors, hunters (both presumed to be male) and “hard” aspects of society not reflected in the notion of femininity of the time. Sadly, androcentric determinism is still not conquered, but it has vastly improved since then! To look for androcentrism in the profession was also important. Archaeologists had traditionally been men, historically even adventurous men, but had recently begun to see an influx of women, resulting in a female-dominated profession over much of Europe in 2014 (Lazar et al. 2014). It was important that the profession no longer be ruled by men in the sense that a female focus was needed to correct research and alleviate bias. Not to say that we need a 70 % female interpretation to correct the professional gender balance, but as at any given time a society should have been constituted by around half women and half men, that balance needs to be worked at still. We are sadly not there yet. However, what gender archaeology has done since its beginnings, is to identify androcentrism at a level we may never before have considered. For instance, we (aka the ‘enlightened’ of us) tend to disagree with evolutionary biologists and -psychologists a lot. Let us take that standard phrase “Men hunted. Women gathered.” Why is this supposed to have been so? Some biologist would likely explain that with hormones. Ok, fair enough. But how come we overcame that and are not working across those lines any longer? When a woman becomes a hunter today (or a police officer, army personnel or bank robber), why is this possible without even the slightest concern for hormones? Why is it applauded when a man decides to stay at home with his children – and enjoys it? And why would we expect that evolutionary equals such as modern humans that had evolved at least 45 000 years ago (Fu et al 2013) would not be able to cross hormonal lines because they were slaves of their own chemistry? This is a logical breach that science does often neglect. Archaeology can help by pointing to deterministic interpretations of the past. There is no real reason that we are now so “advanced” that we can do all these things that prehistoric humans did not – that is pure enlightenment thinking for you. In the Enlightenment (1700s), the idea of progress – that Western society was the most advanced – was what put down the modern notion of “primitive” in the first place, which allowed Britain and France to colonise half the world. I am sure most of us agree that was not the most advanced behaviour after all – to be fair, killing and subordinating for power must be quite a primitive mannerism, no? But the notion of primitive and “further along the lines of progress” (= the West) stuck, and is still visible in the notions of ‘developing’ nations, for example. Through the interpretations of various ethnic tribes as primitive, researchers started to draw analogies to the past, and for a large part they still keep drawing them without thought for source criticism. However, this is just a reaction to a paradigm that is so automatic in us that we do not see it, just like we trust in modern medicine or agree that scientists, not priests, should publish in Nature: All results of Enlightenment thinking of progress and evolution. This is not always wrong, but when we have evidence for the opposite, it should be countered and reconsidered for that particular interpretation. This is where archaeology can help. In 1939, a farmer discovered an extraordinary well preserved Mesolithic burial on his land at Barumnäset (Scania/Skåne) in Sweden. 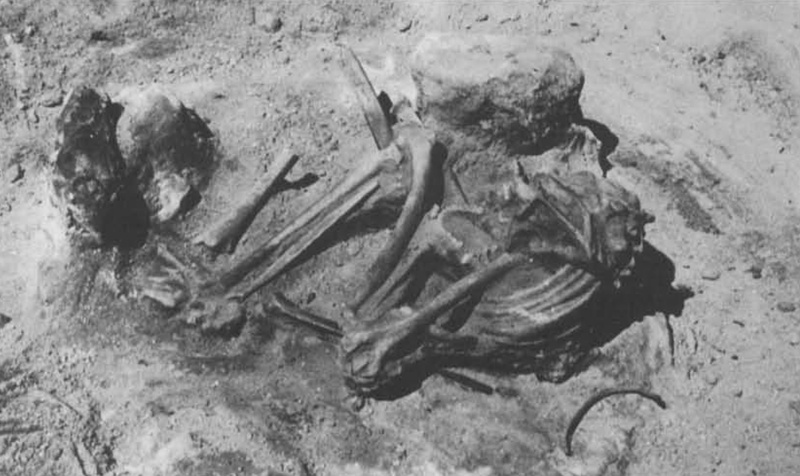 The skeleton was buried with a slotted, flint edged, spear and a bone chisel, and was quickly interpreted as a fisherman: a typical stone age man with typical stone age man-artefacts. The burial in itself is nothing particularly astounding, apart from the preservation of its bones in the calcium-rich soils. Mesolithic burials are often placed in a hockey position, with a few artefacts as grave goods, such as the burials at Skateholm in the same county, and Bøgebakken, Vedbæk in Denmark. Upon a closer examination in 1970, however, researchers were astounded to discover that the skeleton was in fact female, 40-50 years of age and mother of several children. A newer investigation from 1996 interpreted her age as low as 35, based on x-rays of her dental nerves. She died between 7010 and 6540 BCE; approximately 9000 years ago. This places her in very late Maglemose or early Kongemose culture, and is well within the timespan of “primitive.” (Sten et al 2000). Even if the fisher(? )woman from Barumnäs (also known as Bäckaskogskvinnan in Swedish) is part of a minority of finds, we do not know whether 1) the supposed male activities then were the same as now, in other words that male/female work division were divided by the same rules or that there was even a division of tasks (implicitly that the man was the head of the family, as in Christian, Western culture and other present-day cultures that originate from the same religious complex); or 2) that the under-representation is representative and not only a result of andro-coloured lenses seeing what they expect. What we do know is that she was a mother who has opened up for seeing other female opportunities in the hunter/gatherer Stone Age. It is likely that, regardless of work tasks, a stone age woman was as little a slave of her hormones as we are now. It is also likely that her idea of ‘feminine’ differed from the current, Western idea of fragile, docile, a loving mother more than her male counterpart is a loving father. What Archaeology can do, is to put this into focus, and help us to acknowledge older cultures like we should (however much PC) do today. Archaeology can help us see that we are not superior – if we let it. Fu, Qiaomei, Heng Li, Priya Moorjani, Flora Jay, Sergey M. Slepchenko, Aleksei A. Bondarev, Philip L. F. Johnson, Ayinuer Aximu-Petri, Kay Prufer, Filippo de, Cesare, Matthias Meyer, Nicolas Zwyns, Domingo C. Salazar-Garcia, Yaroslav V. Kuzmin, Susan G. Keates, Pavel A. Kosintsev, Dmitry I. Razhev, Michael P. Richards, Nikolai V. Peristov, Michael Lachmann, Katerina Douka, Thomas F. G. Higham, Montgomery Slatkin, Jean-Jacques Hublin, David Reich, Janet Kelso, T. Bence Viola, and Svante Paabo. 2014. Genome sequence of a 45,000-year-old modern human from western Siberia. Nature 514(7523): 445–449. Lazar, Irena, Tina Kompare, Londen van, Heleen, and Tine Schenck. 2014. The Archaeologist of the Future is Likely to be a Woman: Age and Gender Patterns in European Archaeology. 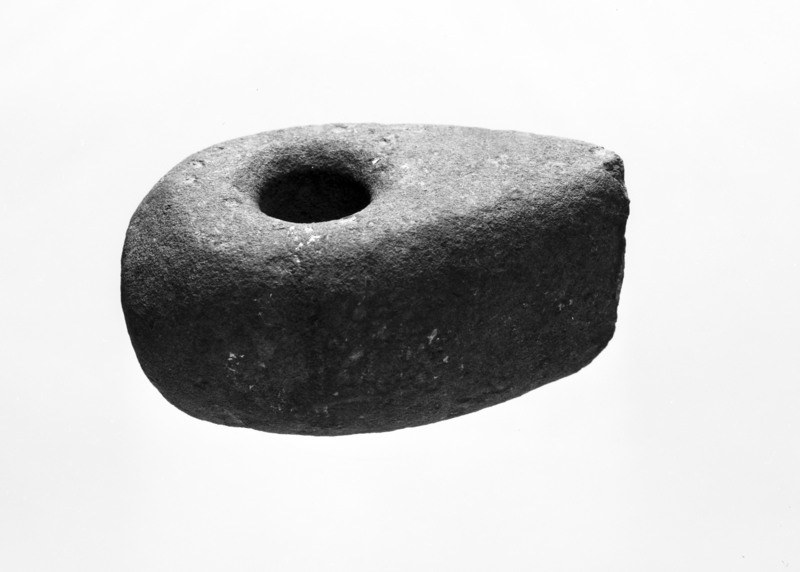 In Archaeologies 10(3): 257–280. Sten, Sabine et al. 2000. Barumkvinnan. Nya forskningsrön. Fornvännen 95: 73–87. Sørensen, Marie Louise Stig. 2000. Gender Archaeology. Cambridge: Polity Press. The re-inheritance of cultural heritage and political manipulation. At the recent EAA in Istanbul, I heard two talks that made my entire conference – both within the session entitled “Heritage beyond borders.” The session was generally concerned with how heritage is not necessarily the property of just a modern nation state, but incorporates a hybridity of ethnicities from its long history before the current authorities. This notion is exactly what resides in for instance UNESCO’s concept of World Heritage, and it is stated on their website that “[w]hat makes the concept of World Heritage exceptional is its universal application. World Heritage sites belong to all the peoples of the world, irrespective of the territory on which they are located.” This entails that certain forms of heritage are so stirring that the concept of ownership has no application, and indicates that whether or not we recover the original meaning may be unimportant. A lot of heritage is fixed in geographical space. However, a particular heritage is not automatically important to cultures new to that space, and very often the new heirs do not really understand its significance. A little while back I visited Stonehenge for the first time with a friend. As with other imposing sites, the presentation of the monument was interesting, in the sense that it is clearly seen as a cool, big, ancient thing, probably very important. What it is also interpreted as in the present day is something that makes an enormous turnover for English heritage. For some reason, Stonehenge was chosen over a lot of very impressive sites in the UK for just this purpose, and has been turned into a virtual tourist machine with its own infrastructure. 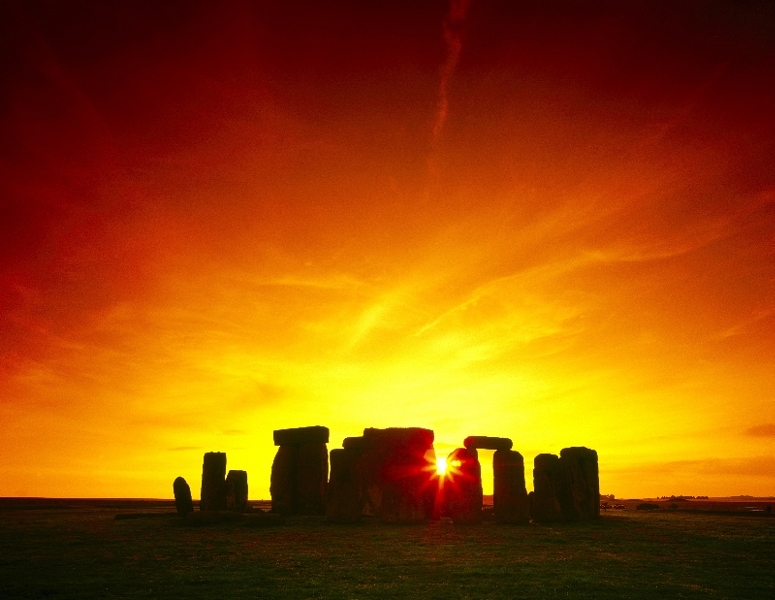 A sunset over an expensive heritage monument – Stonehenge, Wiltshire, UK. Source: English Heritage. The reason Stonehenge has been singled out in this way, as if in a class of its own, is possibly because of its intact nature that makes public interpretation more prolific than a few spots in the ground, such as is the form of the nearby Woodhenge. A hefty worldwide campaign to secure income is the manipulative side of it that tourists may not realise. 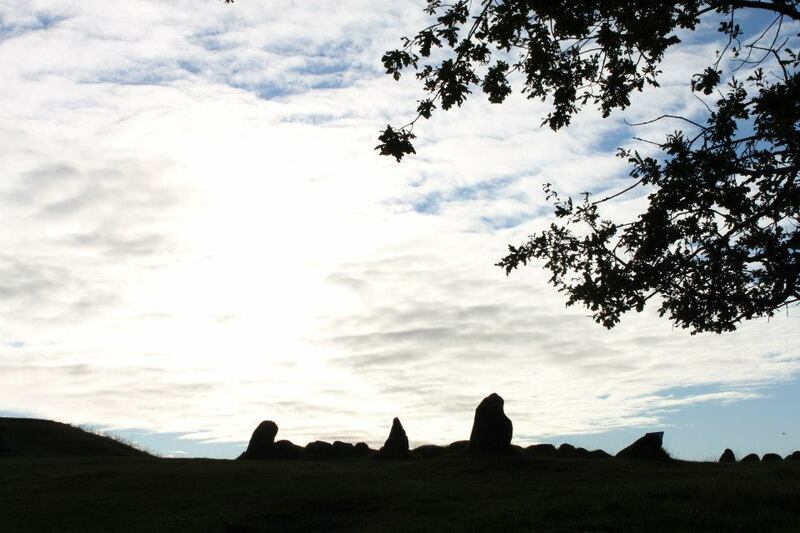 After all, this is done all over the world, and the public are hardly ever informed that other heritage monuments are completely free to admire, such as the massive field of burial mounds, stone circles and bautas at Lindholm Høje, Denmark. By chance, I happened to enjoy a quiet morning hour all alone at this marvellous site a couple of years back. I was completely in awe – of the fact that it was just there, of the fact that it was so serene, and of the fact that it was so massive. I was much more impressed than of my later visit to Stonehenge. A sunrise over a free heritage monument – Lindholm høje, Aalborg, Denmark. Photo: Author. The reinvention of Stonehenge as a present day mystery (with a large revenue) is what Carsten Paludan-Müller labels “reinherited” heritage in his EAA talk. The talk stirred something in my mind, and was the reason for my later visit to the Dolmabahçe palace, discussed here. Paludan-Müller’s talk was concerned with just such reinvention of heritage. Whereas one community, often former owners, see a monument or feature as an identity marker for their own culture, other communities have an impression of that monument as something else – maybe as marker of a different identity or notion, as mystery, as income source or as insignificant piece of thing that is just in the way. However, monuments can at the same time become defining factors for a unified nation state or union, such as the use of the European ‘collective’ Bronze Age to strengthen unity in the EU discuseed and reserached by Elisabeth Niklasson (for instance 2011, and see also Hølleland 2008). In this way, cultural heritage and identity is used to homogenise people, and to institutionalise the state. Needless to say, the presentation and protection of such sites is often taken care of by the state itself. Another factor that Paludan-Müller highlighted, was the way in which identities, ethnicities and countries are more or less the same entities in Western Europe, which has set the premises for a lot of heritage ideals. This is very different in other parts of the world, for instance in Africa, where colonial borders were spaced what seems haphazardly across ethnic borders. Uganda, for instance, has 9 larger and an addition of smaller ethnic groups within its country, and the groups often straddle the modern borders so that the Acholi are both in the north of Uganda and in the south of South Sudan, whereas the Lugbara live both in northwestern Uganda and the northeastern corner of the Democratic Republic of Congo. This means that the heritage of these cultures are to be found in several nation states and will be appointed differing meaning by the rulers, maybe grounded in its importance as identity marker, maybe as important in other ways, or maybe as unimportant. The fact that heritage is assigned differing meaning when it switches ownership, is something we need to be aware of as archaeologists. Also, even if we never get to the real meaning of the heritage in question, we have to steer clear of determinism, and it is our job to not be manipulated by the state. However, this is not easy, and it may take a lot of opposition to go against those who are currently in charge of a monument or an object of heritage. This became clear in Ghattas Sayej’s talk at the same session, where he discussed the nationalistic use, abuse and division of former Palestine archaeology into now Israeli or ‘unimportant’ archaeology. Sayej detailed how the Israeli state now deals with cultural heritage often without paying attention to its Palestinian character, in a venture of nationalist activity. He suggests that it is important to remember that origins may be disputed, and that we should try to get past the “who was here first” discourse to unite over common heritage. After all, a large part of Israel still consists of ethnic Palestinians that live in their homeland, and they too should be allowed a part in the discourse of the origins of the land. Sayej finished his talk by showing the following video of the commentary of an Israeli antiquarian official whilst excavating on Palestinian land. The video clearly shows how certain heritage is considered important and some is considered nuisance. It can also be seen how state authorities manipulate heritage and transform it, for instance into source of revenue. The video stirred the audience in the session, and it still moves that in me which wants to comply with accepted notions of ethics. But do ethics change first, then the conceptualisation of heritage? That is a question for another topic. Hølleland, Herdis. 2008. The Bronze Age – The Dawn of European Civilisation? A case study of usages of the past within the European identity discourse. Master dissertation, University of Oslo. Archaeology and nationalism – a match made in heaven? Archaeologists keep claiming that the past creates identity. It seems to be true for a large part of the world, and identity formation is often used as one of the main motivations for heritage. Indeed, the words ‘cultural heritage’ carry identity within them: Someone older has left someone younger an inheritance of culture. However well suited Archaeology is for grounding identity, it is at the same time extremely well suited to produce identity, and cultural heritage is actively used to create bonds between people. An example can be found in Herdis Hølleland’s (2008) research on the conscious and targeted application of a common (or of a constructed commonality) Bronze Age heritage within the EU, to strengthen the European identity and therefore make the EU seem more unified. Such use shows that (pre)history can be manipulated, used and abused for nationalistic purposes. The other day I visited the Dolmabahçe palace in Istanbul. The palace was the last residence of the Ottoman sultans, built in the 1850’s, and the first residence of consecutive Turkish presidents, at the time the well known Atatürk. I went in with a look to observe how the presentation of the palace was targeting political identity of the Turkish present, and I was not disappointed. The Turkish republic was formed upon the remnants of the Ottoman empire – a 450 year long reign over large parts of the Middle East, the Balkans and North Africa controlled from Istanbul that culminated with its abolishment after the first world war. At the entrance, my first encounter with nationalism were seemingly anonymous tollbooths decorated with the Turkish flag. The palace was constructed about 70 years prior to the rise of the Turkish republic, but the connection between the old empire and the modern Anatolian country was highlighted from the beginning, even if the new effectively changed and threw out the old by restructuring (and diminishing) the society. 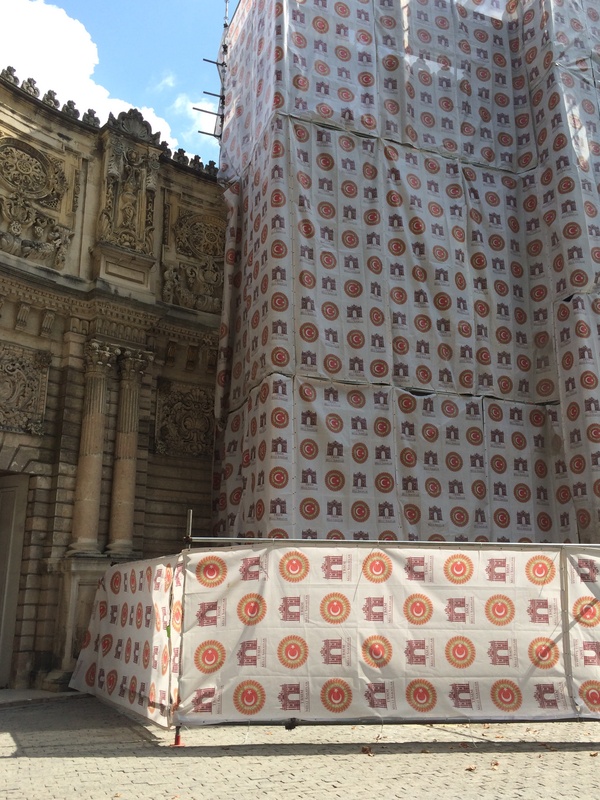 Also, a most fantastic scaffolding cover embellished with Turkish flags was hung on the façade. In other words, the Turkish flag is worthy of this palace (or vice versa). Details push concepts that we often don’t even notice. The guided tours were consistently crafted to emphasise the power of the sultans and presidents, who were not particularly separated and therefore came out as the same. The importance was put on the “big man” and his riches, and that the palace and power of what used to be an empire was situated in what is now Turkey – and per transference is therefore still an empire of sorts. The decorations, ebony floors, thousands of details and reported 90 kg of gold were only underlining this notion. It was also interesting to learn that the new president of the 1923 republic took over the old palace as residence, and in that way reconstructed or re-inherited it as his cultural heritage which formed a continuation of the previous grandeur. In this way, he seems to have acknowledged the old empire, and at the same time displayed that he was now in power of it. This is a common interpretation of power displays in Archaeology, and modern examples seem to only strengthen such musings. So, the way in which Dolmabahçe palace was re-invented as the republican base point, created a strong link to its powerful, imperial past. Often such re-inheritance of powerful places are thought to be used as show that the new leadership is superior to the old. However, in the case of Dolmabahçe, it seems that the new leadership wanted to demonstrate that they were as great as the previous rule, which is a notion still communicated through the presentation of the palace today. This may be important for present day Turkey, as it is a country with an ethnocentric, constitutional definition of “Turk” which has been effectively used to exclude the significance of other identities within the nation state. (A host of ethnicities make up c. 30% of the native population). To undermine ethnicity and create one Turkish identity is a powerful tool in keeping a diverse country together. This ethnocentric identity is embedded in the political discourse (Bakiner 2013: 700) and was enforced by the country’s armed forces (Hamon 2014). Turkey is not the only country to utilise the past for nationalistic purposes. Norway is unfailingly connected to the Vikings, something that has been repeatedly strengthened through tourism. The same form of connection is seen between ancient Rome and modern Italy, between Colonial times and Great Britain, and between old and new Japanese empires. Sometimes it is without practical consequence, but more often in invokes pride and a sense of community and unity, and also generates strategic income for the ruling state. Creating a connection between Vikings, Norwegian identity and superior skiing. It is clear that archaeological presentation can be used to manipulate a past to take the most suited form for the present. This will invariably be done, but does it always have to be a bad thing? The motivation can be to create unity for the purpose of overcoming obstacles of oppression, to create a shared identity across a larger region to overcome hostility or to ground identity in a past that strengthen people’s communal spirit. The more aware the creators of the various pasts are, the more strategic, or hopefully more critical, its uses will be. It is our job as archaeologists to make sure the past is not abused, but often it is the eyes that see that determine the abusive character. For instance, from a Turkish perspective, it is a wonderful thing to celebrate how big and important Turkey both was and is. However, for minorities in that same country, the underlining of that past may be less so. Hamon, Patrick. 2014. Back in the Barracks But Not Forgotten: Lasting Cultural Legacies of the Turkish Armed Forces. In Journal of Georgetown University-Qatar Middle Eastern Studies Student Association 2014(5). So, my last post was some time ago, which has given me time to think, but also to design and execute a set of experiments in a very not-so-scientific way. This is the thing with Processual archaeology; it might have had its very good intentions (and still does), but there are so many things that just cannot be realised for a science studying humans, with all our quirks and ungeneralisable behaviour. How can we for instance generalise large groups (typically entire “cultures” in processual archaeology) that have so many local, or simply plain incomprehensible, varieties in customs? An example: In Oslo, where I am from, people have an unspoken rule about never addressing strangers at the supermarket queue. This is the capital of Norway, the biggest city and possibly the biggest conglomerate of Norwegian customs. Don’t even try to talk to the person in front or behind you in the line; they will think you are weird. You can briefly and superficially address the cashier, of course, but that is the extent of it. However, move a few hours west, into the interior, and you are no longer considered half mad if you strike up a conversation while waiting. It is normally about the weather, but can also concern skiing or hiking (or any nature related activity), or probably farming. Why is that? Maybe because people are harder to come by and you want to take your opportunity to socialise? Maybe because most people are from the same set of customs and you therefore feel more at ease? I don’t know, and there are probably lots of reasons. Nevertheless, it does show that to speak about “Norwegian customs” with regards to supermarket queue behaviour can be an artificial, maybe impossible, generalisation. This is one critique offered on the processual thought mode of Archaeology; the fact that it is not contextual. This critique was the beginning of what has later been termed Post-processual Archaeology, c. 1980, and gained a large impact when the ‘father’ of Contextual Archaeology, Ian Hodder, published his first two books,The present past and Symbols in Action, in 1982 His main message was that we should study the individual context of each archaeological site, whilst remaining vigilant of our own social context in the present. Of course; we cannot project modern-day behaviour onto the past without getting a lot of it wrong, and it is important that we be careful about this. Not only does the present day context limit our ability to generalise, but more importantly, the past, local contexts also make it difficult to describe humanity with big strokes and meta-narratives. Another critique that was presented after post-processual thought had gained a foothold, was that there are limits to what we can effectively say about a society, based on its material culture alone. This critique was taken to the very logical limit in 1987, by the iconic works of Michael Shanks and Christopher Tilley. These works have later been both ridiculed and dismissed, but they are no less foundational than Hodder’s maybe more palatable version of contextual archaeology. Shanks and Tilley take context all the way to relativism, which would be the purely logical form of contextuality and the theory of hermeneutics. This was not done to dismiss archaeology as a science, but rather to display the pitfalls of not thinking about biases and one’s own place in factual statements. Readers of their books will know that Shanks and Tilley do offer up archaeological analyses to demonstrate that archaeology retains its value, but that care must be taken when launching a top-down interpretation of a past, cultural or historical situation. This notion is still present in archaeological thought of today, and hardly any archaeologist I know will protest an argument of that sort. Archaeology seems to have gotten its main reaction to processual thought from the theory of hermeneutics. These ideas may have been groundbreaking in archaeology, but already existed through most of the 20th century in for instance philosophy of science and of ontology. Hermeneutics is a theory of interpretation which in its current form dictates that a human will interpret everything they see based on what they already know (Ramberg and Gjesdal 2013). That means that an interpretation is subjective, and although it may generalise, at the same time it does not. For archaeology, this entails that an archaeologist will bring present-day knowledge into the mix and for instance interpret something archaeological into something they understand, even if it is based on something from their contemporary time. An example: I see an archaeological form that looks like an axe. It has a sharpened, straight edge along one end, and a hole that could easily fit a shaft at the other. It may have wear along the edge, that points to edge use. Ceci est une hache? Source: Museum of Cultural History, Oslo, Norway. C30876. Because I know this shape from something similar that we keep in the shed, and have used a modern axe, I interpret it as an axe. However, it is made of stone, so it is not in fact the same thing completely. I still call it an axe, either without conscious thought, due to tradition, or because my imagination stretches no further. When I see a form like this, I call it an axe, and I deem it an axe. Whether it in fact is an axe, can never be truly confirmed, as we neither have a time machine nor someone from the time to tell us exactly what it was for. We can get close by applying certain types of analyses, such as examining use-wear and compare it to experimental pieces, but close is probably as far as we can go. Although this mode of thinking has also gained a lot of critique from archaeologists and other scientists and scholars, it still forms the basics for much archaeological thought. Methods that hail from earlier traditions have been adapted to work within this contextual frame, and certain approaches, like ethno-archaeology and approaches to chaînes opératoires, or operational/procedural chains in relation to for instance technology, have come into position. Things, previously seen as dead, have all of a sudden gained biographies and lives. Artefacts and architectures are seen to interact with humans on an individual level rather than provide detached symbolism in a generic sphere. Post-processual and contextual archaeology is not the end of the line, and archaeology is always moving in new directions. Although many researchers may still feel attached to the notion of contextuality and bias awareness, the lack of firm ground for actually doing something, methodologically speaking, and gaining results, has caused some discontent in the more method-driven archaeology, or it is simply dismissed, as in archaeometrical and more science-related archaeologies. Many are now talking of a post-post-processual archaeology. Whether that is an actual movement or new paradigm is something I will come back to at a later point. For now, it is enough to state that archaeology has changed its course substantially throughout the 20th century, and that the discourse will keep on changing with time, trends and the influence of other disciplines. Hodder, Ian. 1982a. The present past: an introduction to anthropology for archaeologists. London: Batsford. Hodder, Ian. 1982b. Symbols in Action. Cambridge: Cambridge University Press. Ramberg, Bjørn, and Kristin Gjesdal. 2013. Hermeneutics. In Stanford Encyclopedia of Philosophy. Stanford: Stanford University. Shanks, Michael, and Christopher Tilley. 1987a. Re-constructing archaeology: theory and practice. Cambridge: Cambridge University Press. Shanks, Michael, and Christopher Tilley. 1987b. Social theory and archaeology. Cambridge: Polity Press. After a lengthy break from blogging with travelling and writing on this PhD of mine, I decided it has been long enough. The chapter I am working on is just what I will be discussing here: How different paradigms influence different practices of archaeological research, and although I am deep within theories at the moment, I sometimes need to step back and take a look at practice. After all, archaeology is not philosophy! If you read the previous post, you will have read an account of archaeological research that is more concerned with theories than practices. This was partly the critique of the cultural historical theory set (see for instance Binford, 1962, Clarke, 1977) that preceded the colonialist, modernist era. It has later become very visible that the new archaeology – aptly named «New Archaeology» – was indeed a very practical one. The new ideals that consolidated in the 1970s were strongly set on the positivist notion of getting to grips with the past through generalised models. In this way, societies were given their definition in the form of a system, within which each society was subdivided into structures of for instance subsistence, rites or religion, economy, administration, and more. Each structure had their specific function that would influence the other structures, like the limbs in a body. If one limb or structure was changed or affected in any way, this process would cause a change in the entire system. That way of defining societies was based on the widely applied principle of Systems Thinking and was commonly referred to as cultural ecology, functional archaeology, or simply systems theory. This research tradition or paradigm is now generally referred to as Processual Archaeology. Through viewing a society as a generalised model, something seemingly unpredictable was becoming predictable and could subsequently be subjected to the most elaborate scrutiny through the most undetached and neutral method available – the method of the natural sciences. The era of the Processual Archaeology saw the emergence and boom of the use of natural scientific methods for archaeological purposes: The use of radiocarbon dating took off, and statistical methods became firmly established as an ideal for archaeological argumentation. All sorts of chemical and physical analyses were introduced as a way of generating knowledge about material culture and subsequently a society, for instance gas chromotography, mass spectrometry and geophysical surveying techniques. A lot of these techniques are still in use today, and more are added all the time. The application of natural scientific techniques in archaeology has grown to the extent that it is now considered a separate scientific field, known as Archaeometry, and its beginnings are to be found in the Processual Archaeology. In other words, the processual archaeology is an archaeology of doing. Lots and lots got done. The period is also when my own branch of archaeology, Experimental Archaeology, was firmly established as a research method in archaeology. 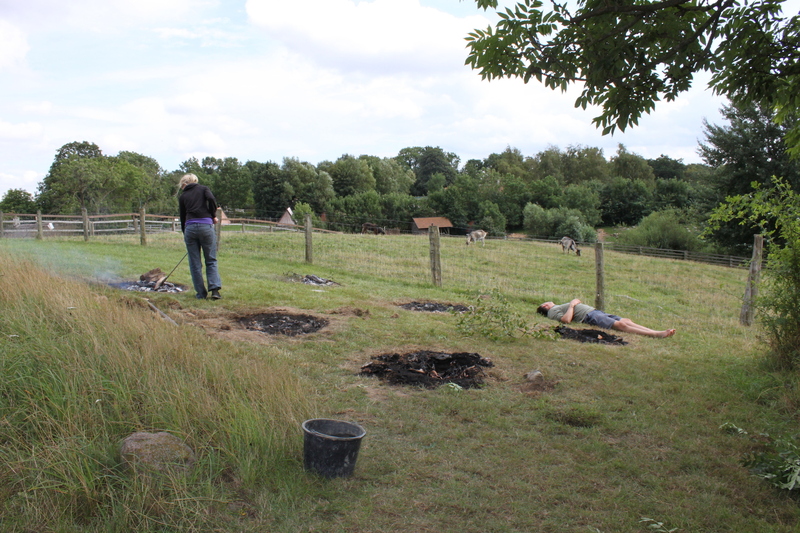 Experimental archaeology is a practical method of performing research through archaeological experiments – often executed with replicated material culture. The method is based on the ideals of a scientific experiment, including the hypothetico-deductive model, and is the subject of my doctoral investigation. The generalised and predictable society is recreated through its material culture, and perceived through gaining an understanding of artefactual functions or material processes. Experimental archaeologists build houses, interiors, furnaces and hypocausts; we make pottery, flint axes, tanned leather, and reed sandals, all in the name of testing. Through testing, we examine a hypothesis and draw our conclusions, in the spirit of the hypothetico-deductive model. Whether humans really are that predictable, is hardly ever a spoken issue. Of course they are, although we may not be – at least I have had my fair share of unpredictable outbursts in life, as have most of the people I know. A problem visible in the experimental archaeology is the chasm that opens up between «us» and «them.» Who are they? Can we recreate their actions? What did they mean? Can we understand it? A very predictable archaeological experiment. Photo: Author. In other words: Can we claim that past people can be generalised the way we do in fact generalise them? Is this a viable research methodology for drawing conclusions about de facto individuals? This is where the problems arise in the processual methodology, although it is often brushed aside as relativism. After all, when something is that rigorously documented, tested and tested again, surely it must mean something? First of all – the idealistic use of the hypothetico-deductive method (HDM) is not logically coherent if truth is sought. Karl Popper, who promoted the HDM and deductive reasoning (general statements based on natural laws to specific conclusions) over inductive reasoning (specific conclusions generalised) also pointed out that since any hypothesis has to be subject to testing over and over, it can only ever be falsified, not validated (Popper 2002:10). Logically and practically, there is therefore never not a possibility that a hypothesis can be falsified. In today’s science, to state otherwise would be paradoxical to the ever developing science field. So – we will not ever really know if we hit the truth. The question then arises why we have to do research in this detached and «objective» manner if it is only medium-true. Do we need the truth then? Many scientists are not so fussed with truths, especially in the social sciences. However, scientific evidence in archaeology rarely gets disputed apart from within its own field, without being labelled extreme relativism. An example would be if I should say that I don’t believe that a radiocarbon date is true because the machine was built by a human, and may ultimately be flawed for that reason. I would probably get a reputation more or less linked to New Age druidism, or even worse – armchair archaeology! There are more discrepancies when it comes to the notion of truth: What about personal taste, musicality, sensual experience such as colour perception, or even ethical conflictions? Already stated by Hume (2012:408), ethics are hard to peg: What is actually a truly right and moral way? Hume’s example is the well known murder who is only witnessed in the moment it happens. Most people would condemn murder if they were to pass it on the street without any preceding knowledge of the context, based on an emotional response. But what if you are in mortal danger of being killed – is it wrong to kill the person who attempts your life? Most crime laws allow to kill in self-defense. In the archaeology of today, we are in fact less concerned with absolute truths and generalisations; rather we have most likely always had to be relaxed about the potential of a conflicting find cropping up from the dirt. This is what we do, no? With every astonishing, new evidence, a previous theory may disintegrate. Still, although truth seems inaccessible to us in practice, in theory it seems to be an ideal worth striving for – for some. Most of us still try to research objectively and with as little bias as we can. Why we do it – well, the world wants us to? BINFORD, L. R. 1962. Archaeology as Anthropology. American Antiquity, 28, 217-225. CLARKE, D. 1977. Analytical Archaeology, London, Methuen & co.
HUME, D. 2012 . A Treatise of Human Nature. Adelaide, University of Adelaide. POPPER, K. 2002 . The Logic of Scientific Discovery. London, Routledge. What Archaeology does – part 1. Just back from an intense week at the 19th annual European Association of Archaeologists meeting (EAA) in Plzen, Czech Republic, mind seething with inspiration, ideas, pros, cons, ups and downs and thoughts about Archaeology, I am ready to write! Definitely a week well spent, and there were some really interesting sessions about the structure of archaeological thought and work. It made me want to delve even deeper into what Archaeology can contribute as a social science. However, I did get a notion that I should perhaps write a few posts about the structure and method of Archaeology, just to get my head around a vaguely chronological structure of posts. From A to B, so to speak. To talk about what Archaeology can do, first I need to scrutinise what it does already do, and how it does it. In a few posts from now on, I will take a look at what Archaeology does already do as a social science. I am going to take a critical approach, and if you care to join me, stay tuned. Archaeology basically started out as a treasure hunt for the enlightened, European upper classes, who from the Renaissance onward went on what was dubbed The Grand Tour to enlighten themselves even further with artworks, cosmopolitan cities, music, literature and everything sophisticated. The Enlightenment (c. 1700s), and the Romantic Period (c. 1800s) including the National Romantic Era (c. 1850-1900), were also the eras of the real, global and widespread expeditions – out to colonise riches, but also with the academic credentials of discovery of the new and exotic. In sum, archaeology and old cultures were something to be discovered to enlighten the people. Or at least, it was something shiny used to enlighten the rich people. The museum became a place for high culture. Eventually, Archaeology became a discipline of its own, with the material culture of the ancient times as objects of study. This has since been our focus within the field, but we now also include the gritty things, the ugly things and the things we cannot put in museums – such as traces in the ground, stones in a field or ruins. Not to mention, we include and put forward the people behind the things. Our method has gone from just digging up artefacts as if on a treasure hunt, giving them a catalogue number and put them on display, to careful excavation, documentation and very meticulous analysis and interpretation. We have since also realised how much both our methods and our interpretations have changed, due to science and changing theoretical paradigms. At the EAA session on Transfer on Knowledge in Archaeology, Raimund Karl gave a very interesting talk called To observe and to define is to know. He took us through the young ages of Austrian, archaeological research, when archaeologists in Austria looked to Philosophy of Science for an approach – which they found in the empirical, inductive method that was so common in the Enlightenment and subsequent periods. Basically, the entire system of exploratory expeditions were based on the empirical method of observing and mapping (defining). So, Austrian archaeologists used this approach in the years to come, which coincides with the theoretical period we call Cultural Historical Archaeology, and which lasted until the 1960s. Within this paradigm, the colonial warlords of the world could use archaeology to highlight their own, splendid past, which must have suited them excellently. Some of you may react to the fact that this went on until the 1960s. By then, the deductive approach was by far the preferred method, both in the philosophy of science and science itself. That is so. But by the time of this change, archaeology had already developed its own discipline with a well-defined methodology, and hence stopped looking outside their box for inspiration. The Austrian archaeologists totally missed that their own Karl Popper had written a profound work that pretty much discredited the scienticity of the inductive method. Oh, well, Archaeology was after all never a natural science and is not reliant on strict, logical rules for interpretation. What is more worrying, is that Austrian prehistoric archaeologists (and German, from what I hear) are still applying the same method, ripe with colonial ideals, meagre on the humanistic, theoretical perspective that should be there to even contribute any insight on the social. And thus provide a social science. Only in Austria? Not so. Sadly, these ideals stay put in different forms elsewhere in our discipline. On the plane back from the conference, I read Zainab Bahrani’s article Conjuring Mesopotamia, about how the archaeological Mesopotamia has been created as a temporal, but non-spatial, entity that serves as a backdrop for the greatness of European culture. As we know, Mesopotamia was first at pretty much everything important such as agriculture, writing and I am sure the wheel comes from there too. For the colonialists, it became a big deal to stress that the Mesopotamians (Sumerians, Assyrians and Babylonians) where the forefathers of Europe rather than of the actual cultural and geographical region in which it was placed. 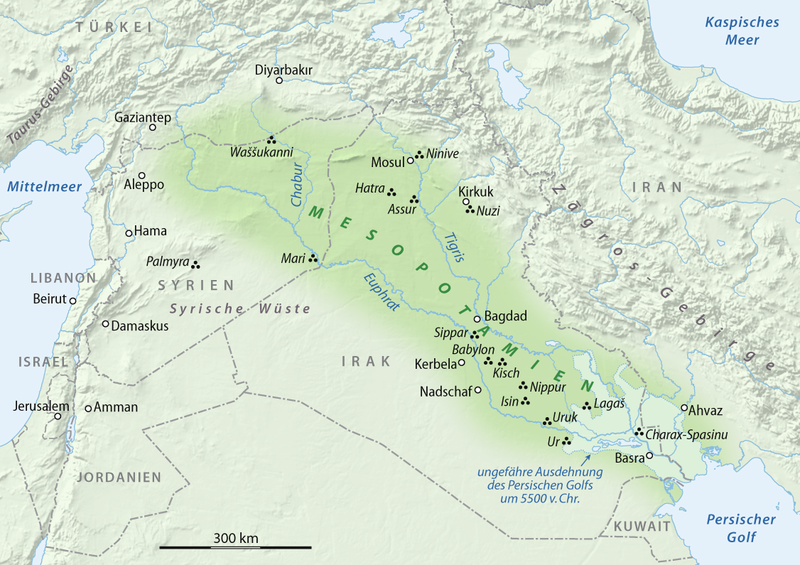 Approximate map of the region of Mesopotamia. There were several ways in which this was achieved. According to Bahrani, it became important to disconnect it from Syria and Iraq, which were naturally not sophisticated enough for such prehistoric brilliance. This was done through dissemination, and through clever, discoursial management and manipulation through rhetorical manoeuvres such as metonymy (changing of names) and synecdoche (skewing of reference: to represent the whole by a part). In exhibitions, the fantastic features were highlighted, and the divorce from the geographical region was complete. In other words, by severely generalising the enormous cultural complex that was situated in Mesopotamia, it further removes the cultures from their native place (and subsequent time) and builds its near mythical character. Why am I talking about Mesopotamia? Because the most important statement Bahrani makes (be it in 1998), is that Near Eastern archaeological research is still based on just these fictive structures. Archaeologists are perpetuating the colonial, imperialist story, mindlessly serving the cause of Western greatness. Even if the topic has come up, the theoretical underpinnings have seemingly been dismissed and buzzwords have been included to update the rhetoric. And who are we stealing an entire prehistory from? Who are not entitled to their own story and their own ties to greatness? The people of the designated regions of the Middle East, who only get their prehistory back once Islam has set, according to Bahrani. This would be the Kurds, the Syrians and the Iraqis of today. Amongst them, the Kurds especially are probably in dire need of their own prehistory. Archaeology can definitely be a social science. However, in this form, although it can absolutely be used to influence social aspects of today, it has nothing to do with the ‘science’ part. Bahrani, Zainab. 2005 (1998). Conjuring Mesopotamia. Imaginative Geography and a World Past. In Preucel, R. W. and S. A. Mrozowski (eds): Contemporary Archaeology in Theory. The New Pragmatism. 2nd ed. Oxford, Wiley-Blackwell. Montesquieu, C.-L. d. S. De l’esprit des lois (The spirit of the Laws), first published in 1748/1750. Popper, Karl. 2002 (1959). The Logic of Scientific Discovery. London, Routledge. Experimental Archaeologist and social scientist, currently studying for a PhD at the University of Exeter. Specialities: Archaeological Theory and Method, Experimental Archaeology, Chaîne Opératoire, Philosophy of Science, Philosophical Pragmatism in Archaeology. Sociology of Law, Labour law. Interests: Human rights, feminism, and photography.